Following the discovery that I could buy Meyer lemons here in the UK I found myself with said lemons and no idea what to make with them! I’m a terrible hoarder of my favourite things. Not a hoarder in the sense that have tons of stuff (I don’t!) but when I get something that I love I can’t bring myself to use it! So there I was with these lovely lemons and suddenly no recipe seemed to appeal to me as I didn’t want to use all my lemons! Before one gets the impression that I’m crazy I will get on with what I actually found to make! I had heard that Meyer lemons were so sweet the whole thing was edible! So this salad using the whole lemon, skin and all, was the perfect way to use one of my precious lemons without any waste! 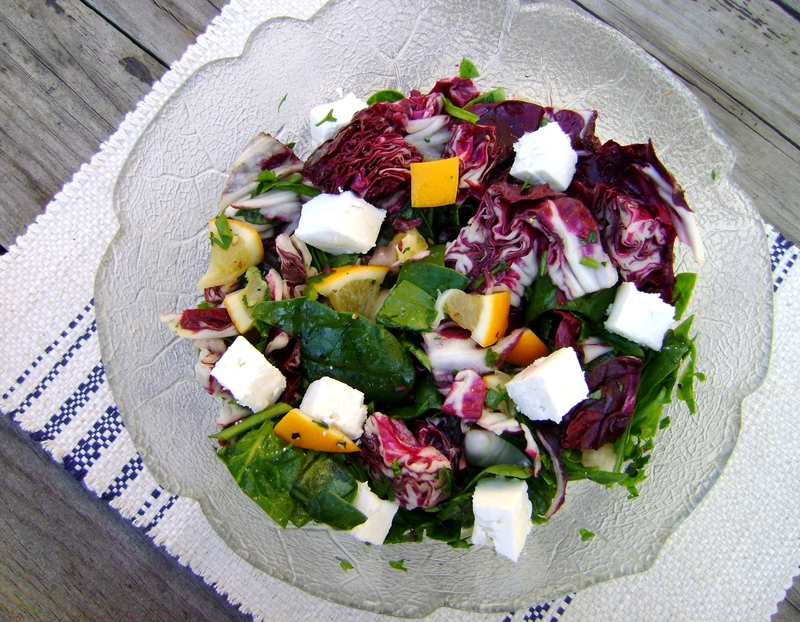 It was lovely the day I made this salad, sunny and above 10 degrees, which possibly made me enjoy this even more! After a winter of soup this was such a treat as it was so summery and so healthy, it was the best salad I’ve eaten in a long time! It’s true you can eat the whole of a Meyer lemon! It’s a zesty and quite bitter (in a good way) salad. It certainly wakes up your taste buds and the spinach, feta and walnuts all balance it out adding their creamier, softer flavours. The more eagle-eyed of you may notice there are no walnuts in the picture! That is because I cut my finger while chopping the parsley for the salad and in my haste to finish so I could deal with the cut finger I forgot to add them for the picture! It’s hard to find radicchio in all supermarkets, I get mine from the green grocer. I’m long aware of the difficulties in getting Meyer lemons in the UK so if you are unable to get a Meyer lemon a 1/4 of a pink grapefruit may make a substitute, although I haven’t tried that. Chop the lemon, radicchio, shallot, spinach and parsley. Add each to a bowl. 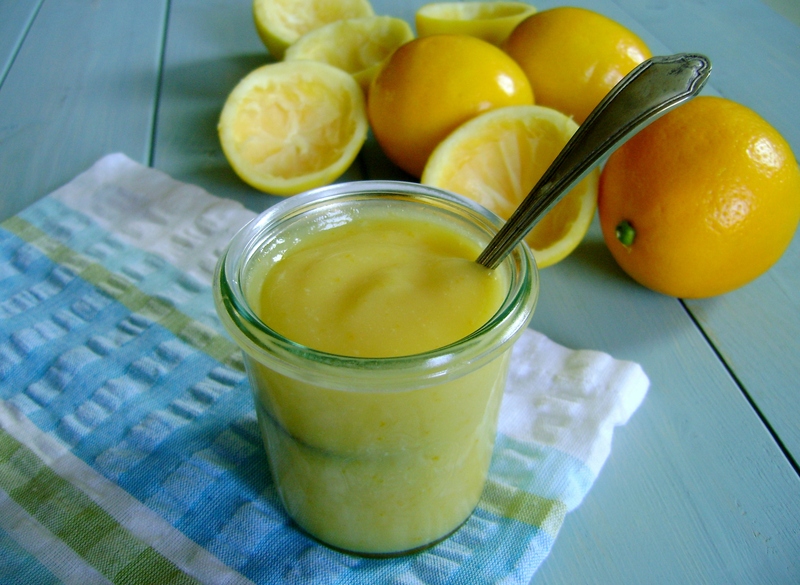 Make the dressing by whisking the lemon juice, olive oil, salt and pepper together until combined. Add to the salad ingredients and mix well. Add the feta and walnuts and gently mix in to the rest of the ingredients. Christmas is almost upon us! I had such good intentions of writing some Christmas blog posts, however I’ve found that time is fast disappearing and all I do seem to be writing are lists! I’ve yet to even finish writing my Christmas cards! I did want to share this speedy gift idea though. Although I love the idea of giving homemade gifts, sometimes food gifts can be tricky. 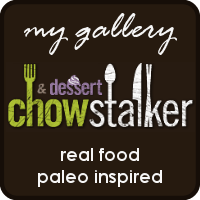 The can have a short shelf life, don’t travel well and sometimes less foodie friends just don’t know what to do with them! This gift however has none of these issues! Flavoured salt is what I’m talking about. It’s easy to use, just a little sprinkle onto food before serving can really add a little lift to the dish. At this time of the year flavoured salts are often sold as a gift idea in stores at inflated prices, It really is so easy and much cheaper to make your own. 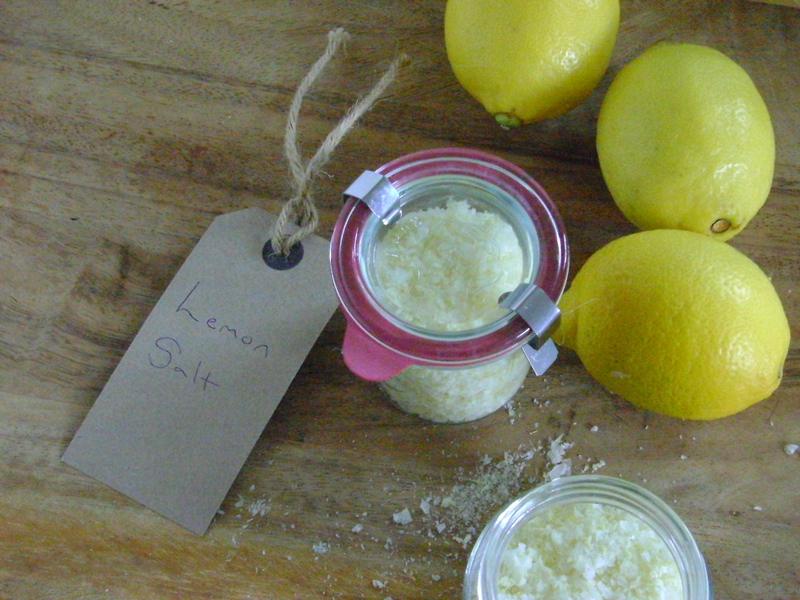 Just sea salt, the flavour of your choice, a little jar and you are all set. I’ve chosen to make lemon salt as the person I have this in mind for cooks a lot with lemons (and I want the leftovers!). This took less than 10 minutes to make. It makes a pretty and thoughtful little gift that lasts a long time and travels well. You can use any sea salt, I used Maldon. 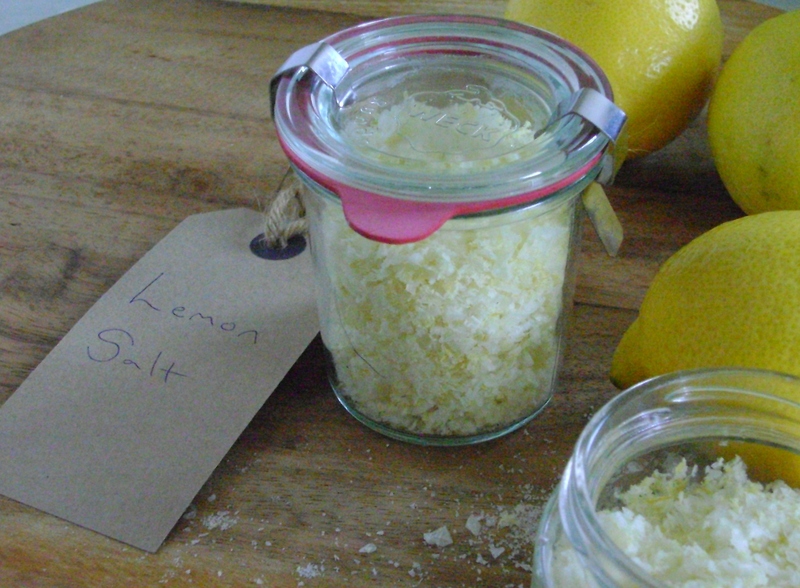 Do use organic, unwaxed lemons as you will be using te zest. Mix the sea salt and the lemon zest together. It takes a minute or so to get the zest evenly throughout the salt, turning it a lovely shade of yellow. Sprinkle onto a baking tray lined with baking paper and put into the oven for 5 minutes, until the zest looks dry. When the salt has cooled put into a jar of your choice. 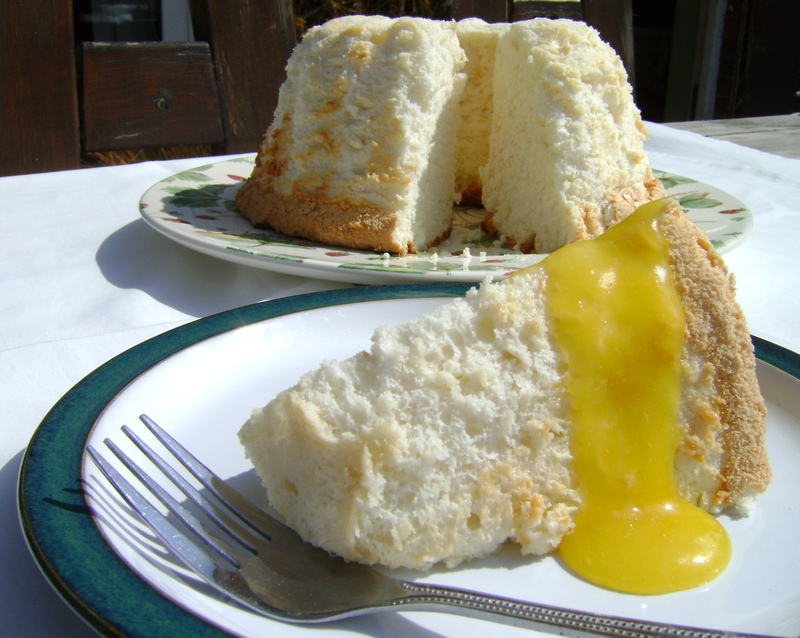 I love angel food cake but I’ve never made it before and actually I havent had it since for years, maybe since I was a child. I’m certain that I remember my mother making angel food cake out of a pack too so maybe I havent even had real Angel food cake! 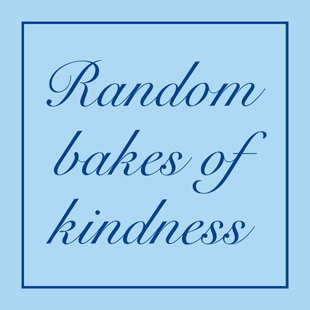 This months Baketogether was Angel Food Cake, arranged by Abby Dodge, using her Tangerine Angel Food Cake recipe when I saw this my first thought was “yes, I love Angel food cake!” I thought of how I would “switch it up” as Abby encourages us to do. Lemon would be my theme, I was looking forward to this! Last weekend, for Easter, I made a different lemon cake that required a lemon curd filling, using 10 egg yolks, this meant I had 10 egg whites ready for the Baketogether, serendipity at work! Then through twitter I found out that the bundt pan I had intended on using wasnt the right pan! In my mind a bundt pan and an angel food cake pan were the same thing, this is not the case, my memory was playing with me again! A few tweets and a forwarded article later and it seemed that although not advisable an angel food cake could be made in a bundt with limited success. What did I have to lose? Anyway those egg whites needed using! 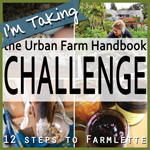 I followed Abby’s instructions exactly, the only difference was swapping in the zest of a lemon for her tangerine zest. I let it completely cool upside down resting on 4 cans of soup! When it was cool it had shrunk away a little from the middle, I used a small thin spatula and ran it around the top then gently slid it up and down all the way around. I put a plate over the bottom of the pan and turned it upside down and that baby slipped right out! I was so pleased! True it’s not perfect and it has a few little rustic edges, but it’s not the disaster I had dreaded ! This cake is like eating a cloud! 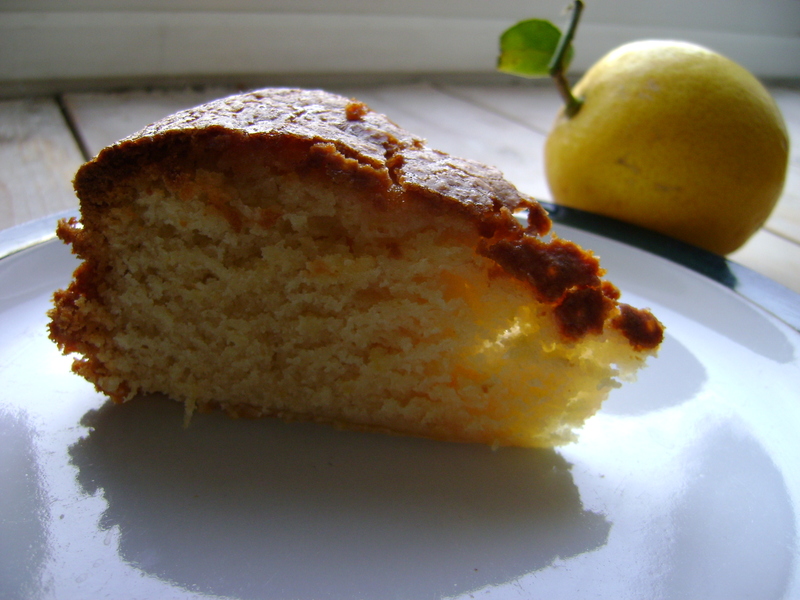 Amazingly light and fluffy with a subtle taste of lemon. Whether my mother’s angel food cake came out of a pack or not my memory served me well, I do love angel food cake! To go with it I did another switch and rather than Abby’s caramel sauce I made a lemon sauce, inspired by the lemon curd I had made the week before. Thanks Abby for another great recipe and a great baketogether! Note, superfine sugar is caster sugar and confectioners sugar is icing sugar if making in UK. Put the butter, sugar, water, and lemon juice into a medium-sized pan, heat slowly whisking all the time. When the butter is starting melt add the egg and zest, keep whisking. Heat slowly, constantly whisking until the mix comes to the boil and thickens. If too thick add a little more water, if not so thick don’t worry this firms up as it cools. Sieve the sauce to remove any egg solids. Let cool before serving. 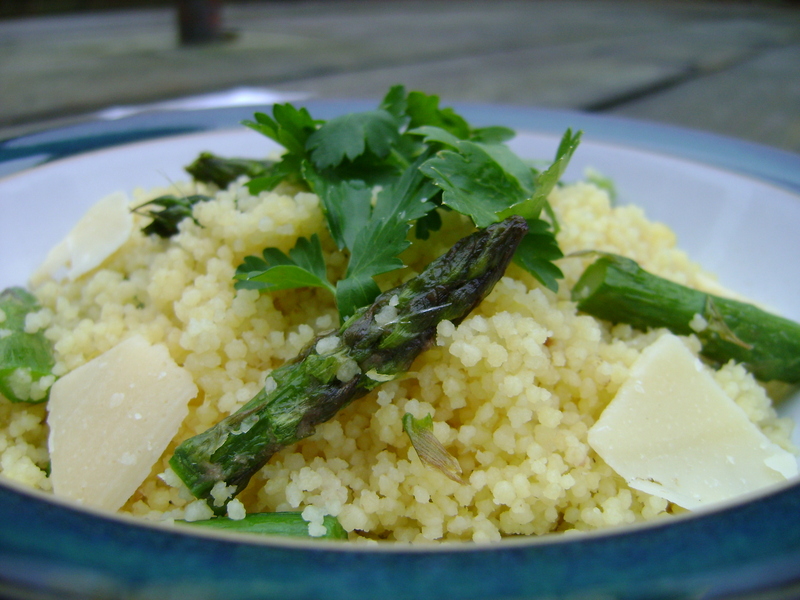 This recipe came from my friend Pearl who spends her summers in Italy. She got the recipe from an Italian friend who got it from someone in New Zealand. Pearl makes great cakes, she always gets a high rise! She is very relaxed in her baking, whatever tin you have will do she says. I bake this cake in a lined 8 inch springform tin. Pearl uses her local (Italian) extra virgin olive oil, which sometimes I’m also lucky enough to have! Otherwise I use whatever extra virgin olive oil I have at the time. I have made this cake so many times and it always turns out well. It is the easiest cake to make and quite a large one so it works well for a dinner party dessert, served with some vanilla ice cream. Once I even forgot the syrup stage at the end and the cake was still good! It is in cup measurements, I use my US cup measures. Pearl in her relaxed way says as long as you use the same cup for measuring everything it will be fine, I’ve seen her use a regular coffee cup. Preheat oven to 350 F 180 C.
Whisk together the sugar and eggs. Add the olive oil and lemon zest. Pour mixture into cake tin. 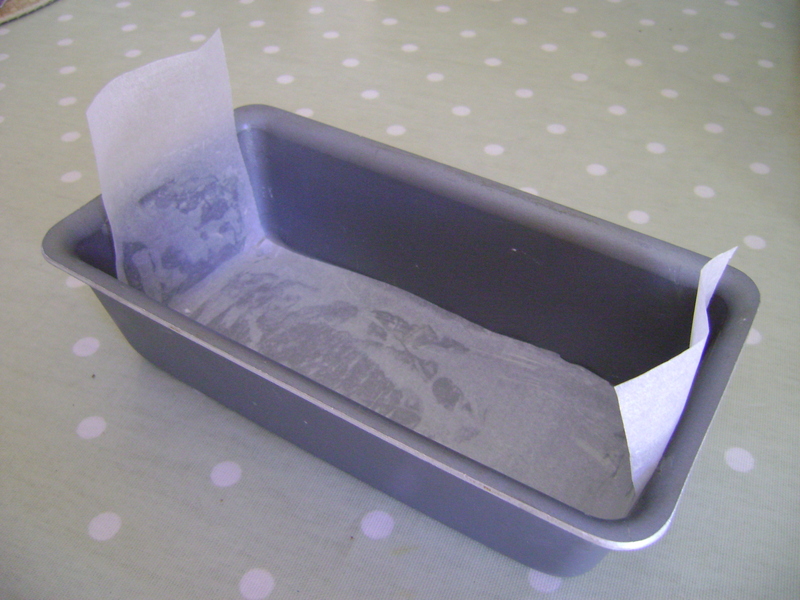 Bake for 45 minutes or until cake tester comes out clean when inserted into middle of cake. 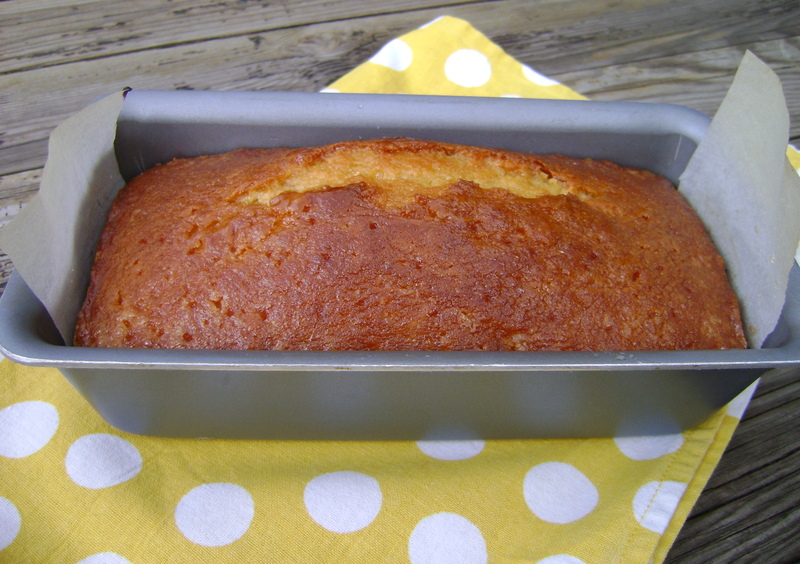 While cake is baking mix together the 1/4 cup of sugar & 1/2 cup of lemon juice to make a syrup.